Tiny spiders tumbled from my mouth, one by one. I woke in a cold sweat, my hands clawing at my parched lips. A dream, only a dream, I thought. I clenched the covers with trembling fingers, trying to still my nerves and catch my breath. Resigned to the fact that sleep would not return any time soon, I got up and made my way to the bathroom. Moonlight pooled in through the bare window down the hall. My feet sliced through a triangle of its silver-white light set against the hardwood floor. Somewhere deep within the insides of the house, the heat came on, disrupting the eerie silence. I hadn’t had the chance yet to decide if it was welcoming or not. It was always hell moving again, but what other choice did I have? I went downstairs and into the small kitchen. My kitchen. With yellowed wallpaper and almond-colored appliances, it was more than three decades behind the sleek one I’d just left. It felt a little like starting over, and I smiled. I scanned the worn counter tops, unsure of what I was looking for exactly. I wasn’t hungry. Coffee or tea would keep me up hours longer than I wanted to be. A glass of wine would surely help. I found the stemmed glasses, still not unpacked. It would take me weeks to put away everything I’d accumulated over the years, but a nice wine deserved more than a plastic cup. Locating the corkscrew proved to be more daunting, but I finally found it tucked inside an oven mitt. I filled my glass to the brim. Holding it up to my eye, I tilted it to catch that same moonbeam which had infiltrated the upstairs window and whispered a toast to Seth. And then damned him in the very next breath. After all, he was the reason I had been uprooted in the first place. You’d have thought eight years would account for something. Apparently, I’d been wrong. Again. At first, it started with late nights at the office. Deadlines and various projects that would hold him over until the early morning hours. An unfamiliar fragrance on his clothes, when he finally did come home. Then, he just stopped giving excuses all together. He didn’t even bother anymore. I figured, why should I? I took a slug of my drink and it warmed my throat on its way down. Sweet and bitter. Like my memories — bittersweet. How else could they be? Endings always were or else they would never end. Stunned, as if I’d forgotten about it altogether, I recalled the main selling point of this house. And that’s where I headed next: the library. At least that’s what I would call it eventually. 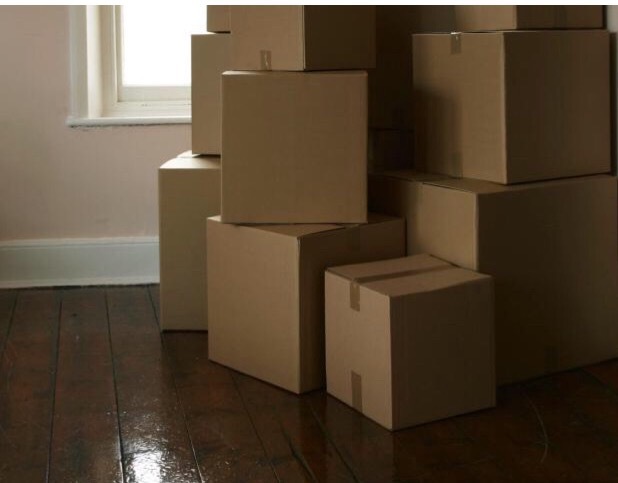 Right now it was a plain, square room stacked floor to ceiling with cardboard boxes. Soon, it would have wooden shelves installed its entire length, with rows upon rows of books. A cozy sofa in the corner, over by the window would make the best reading spot. There was a tree just outside, and I could imagine watching it change with the seasons. I crossed the room and opened the box marked “KEEPSAKES”. From inside the crumpled newspapers, my third husband, Seth, peered back at me with a blank stare. Beside him, the heads of Paul and Dennis — husbands number one and two, respectively — held similar, disinterested expressions. They’d each never seen it coming. But what else would they have expected me to do? They had brought it on themselves. I closed the lid and sank down to the floor, cradling the glass of wine in my hands. Tomorrow I would start unpacking things. Tomorrow I’d make this place my own. Previous postThe Value Of Commenting On A Blog.